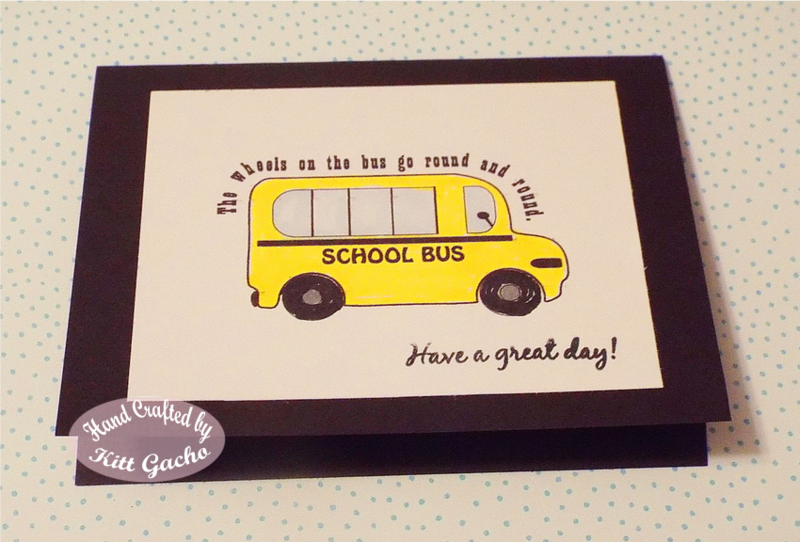 Here is a note card for a school lunch box. It is for the challenge over at Pins Challenge. The image is from the Cutting Cafe. I used Chameleon markers to color it and the sentiment stamp is from Cardz TV. Be sure to stop by and see what other school inspiration the DT has for you today and join the challenge for a chance to win some digital images. Thanks for stopping by today and leaving your comment. Have a happy crafty day. Love your CAS card! 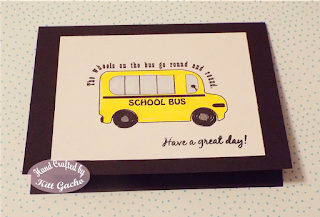 The bright yellow bus is such fun! My First Video Bride and Groom Favor boxes.